Most people are aware that the things they choose to eat can affect their health. Protein is good for building strength, carbs providing energy, and you definitely want to stay away from transfats. But not many people are aware of how food choices can affect more subtle aspects of our health like the alkalinity. Paying attention to the balance between acidic and alkaline foods can make the difference between health and serious illness. Most people learn about the ph balance in high school chemistry class. 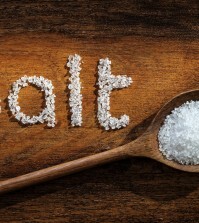 In the context of health, it represents the ratio between acidity and alkalinity in the body. 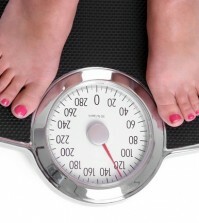 The scale ranges from 0 to 14. A ph level of 7 is considered “neutral”, with the lower end of the spectrum representing higher acidity, and a ph level closer to 14 having higher alkaline properties. A healthy ph level for the human body is around 7.35, so a little bit closer to the alkaline end of the spectrum. The problem is very few people have healthy ph levels in their body. The modern Western diet is highly acidic. Combine this with a stressful lifestyle which is all too common in the modern world and you have a majority of people with acidity levels far too high. Acidic waste accumulates in the body and has been linked to a plethora of health problems including cancer, fatigue, obesity, digestive problems, and more. Luckily, it is relatively simple to fix the problem of too much acidity. A few simple diet and lifestyle changes can go a long way toward raising the body’s alkalinity and improving overall health. 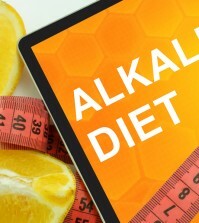 The first step toward fixing your alkaline levels is to change your eating. The fact is certain foods are going to bring you closer to your goal, and some are going to take you further away. Knowing which foods that you should reduce your intake of is half the battle. Foods like sugar, alcohol, meat, processed foods, and chemical compounds like caffeine contribute to higher acid levels. You don’t have to eliminate these completely (although axing the processed foods completely might not be a bad idea), but be conscious of how much of these foods you are eating vs the alkaline-rich foods listed below.